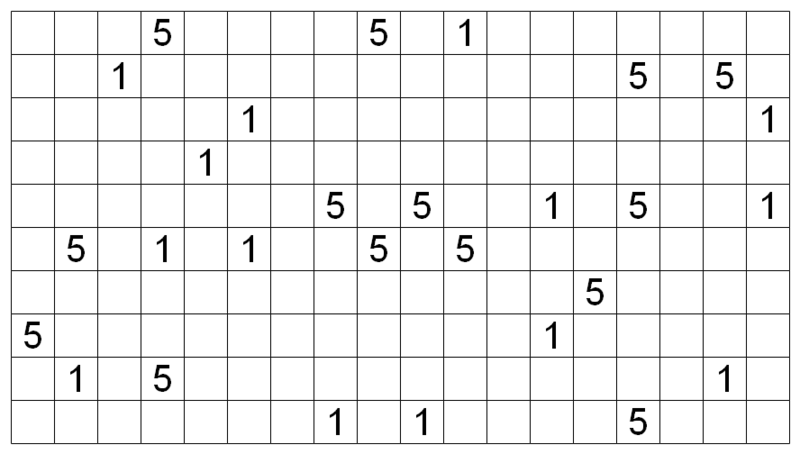 This is a Nurikabe puzzle, with a twist. Every region of unfilled cells must contain exactly two numbers (instead of one) and have total size equal to the sum of the two numbers. I had to cheat symmetry a little bit on this one. Oh well; this was hard enough to construct as it is. Many of you may be aware that my team (Manic Sages) won the MIT Mystery Hunt this past weekend. I’m hoping to contribute quite a bit to next year’s hunt, both logic puzzles and non-logic puzzles. I don’t anticipate any delays in my blog posting (whether the Wednesday puzzles or packs); the most likely compensation is that I’m probably not going to be writing as many LMI tests this year as I hoped I would. More revisiting of variations that deserved more love than just being used once. 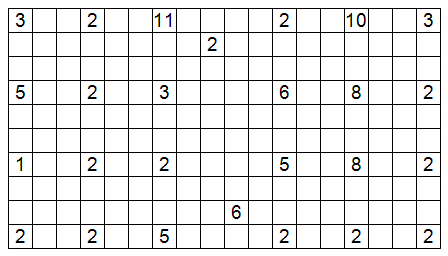 The first of these I posted was a fairly popular puzzle, and it baffled me because I didn’t think it had done anything special. 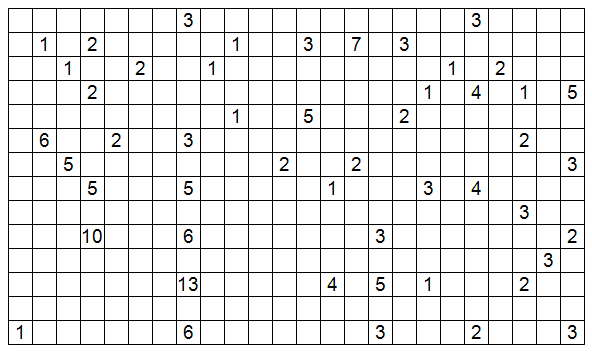 This puzzle shows the kind of potential I had foreseen for the variation, which that first puzzle did not reach. 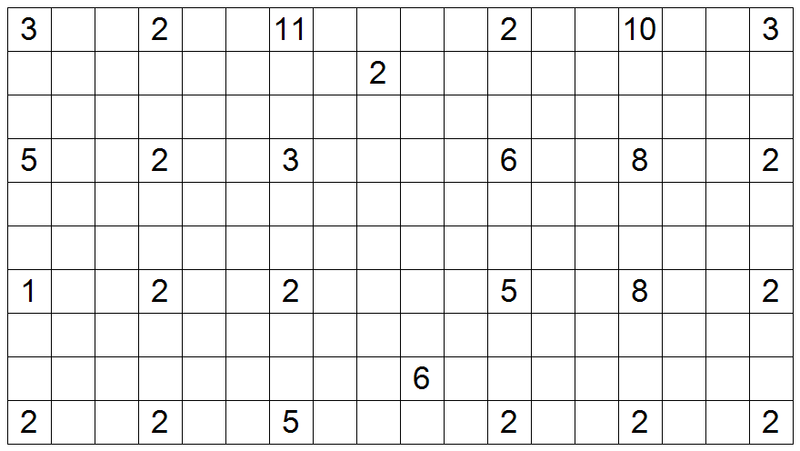 This is a Friday Nurikabe puzzle, with a twist. Every region of unfilled cells must contain exactly two numbers (instead of one) and have total size equal to the sum of the two numbers.